Are YOU the Ultimate Tiger Fan? 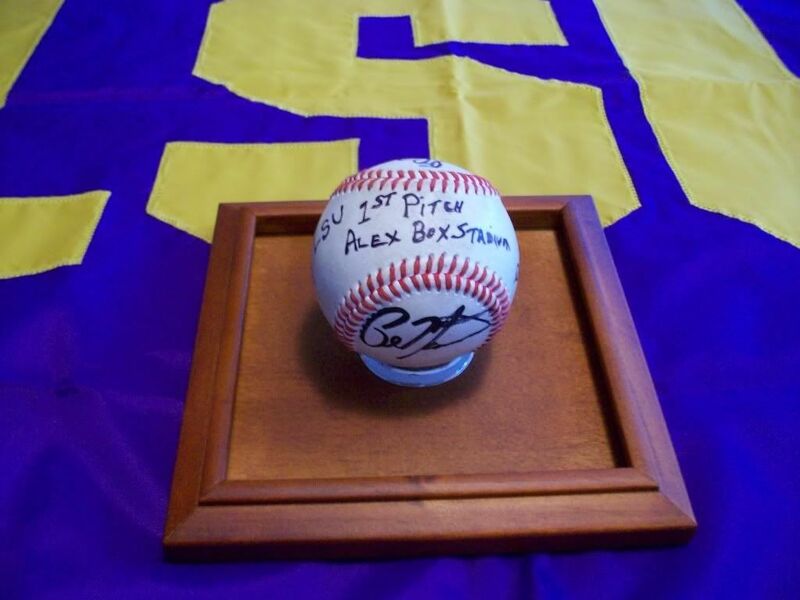 Own a Unique Piece of LSU Baseball History! Georgia is one of the more active states for sending great students to LSU. To underscore this fact, LSU’s Office of Undergraduate Admissions and Student Aid is coming to Atlanta to host an exclusive reception where top academic students from the metro area can meet various representatives from LSU’s academic colleges and departments. The recruiting folks in Baton Rouge would love to have some Atlanta alumni on hand to mingle and share stories and encouragement with the student candidates. An Evening With Louisiana State University will take place Wednesday, March 17 from 6:00 – 8:00 p.m. at Nelson SE Operating Company, 1349 West Peachtree Street NE, Suite 1300. LSU requests that you make an RSVP as space is somewhat limited. For additional information and registration, email Christopher B Henry atchenry@lsu.edu. Each year the LSU Alumni Association brings together its biggest donors and most active volunteers for its Accolades Banquet held at the Lod Cook Alumni Center. They also host a chapter development workshop where alumni can share information and experiences that strengthen LSU’s presence around the country with its 125 chapters. I want to say how PROUD I was to see SO much purple & gold. People wonder why there's dislike for UGA - to come to someone else's bar & be so blatantly disrespectful shows how much class you got. Once we knew we had game - the Tiger fans came full force. OH MY - HOW QUIET THEY GOT!!!!! !GEAUX TIGERS!!!!!!!!!!!! After having some security issues with our host server, we have decided to move to a new host server that is not only more hacker-resistant but also faster to respond. We apologiize for the occasional interruptions in service while we miigrate content to our new "home." We felt it better to do this now before football season arrives. Want to see some fresh energetic faces excited about starting their college career at LSU? Sweet Send Off will again welcome these LSU-bound local high school grads and their guests into the LSU family this Sunday at 3 pm at historic Marlow House at the Marietta Town Square. The two hour reception will feature LSU theme music, greetings, stories and tips about LSU by Ole War Skule alumni, door prizes and delectable sweets such as pralines by New Orleans Fine Catering, an LSU theme cake by Catered Cakes and a sinful sampling platter of goodies from Copeland’s of Atlanta. All including Marlow House are proud sponsors of LSU Atlanta. This event is directly related to our ongoing mission of promoting the image of our alma mater and providing incentive scholarships for Georgia students interested in attending LSU. If you have positive stories about your LSU experience to share, these are the kids and parents that would really enjoy hearing them. RSVPs are not required but helpful. Please email us at events@LSUatlanta.com if you plan to drop in. Marlow House information HERE.